Pharma Franchise for Paediatric Range- Pediatrics is a field of medicine which deals with the well being and medical healthcare of newborn, infants children and adolescents from the age of birth till the age of 18. More than 44% of the population in India is under 18. Therefore there is always quite a need for paediatric products in the market. To complete this demand we, Aden Healthcare introduce the Pharma Franchise for Paediatric Range in every state of India. Here at Aden Healthcare, we give equal opportunities to everyone to share their views regarding the better improvement of medication. So to deliver the best quality paediatric medicine range in the marketplace. We have a team of highly qualified and experienced medical experts, including doctors, quality analysts, and co-employees. They all work with the motive to keep our name in the Best Pharma Franchise for Paediatric Range of medicines. As being India’s leading Pharmaceutical company, we Aden Healthcare is on the mission to deliver the best quality pediatric pharma products in every region of India. Therefore we bring the opportunity of PCD Pharma Franchise for Paediatric Range Medicine. This field of medicine not only provide you with the best revenue returns but also deliver you the best status in the marketplace also. 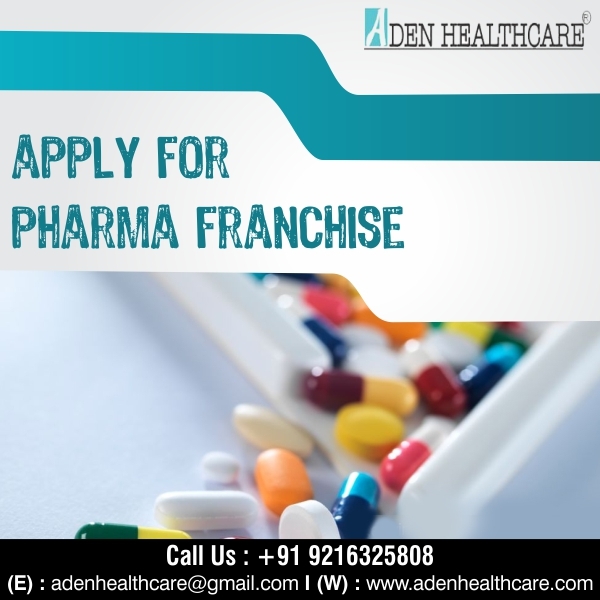 So to know more about the franchise opportunities you can reach to us by +91 9216325808 or drop us an email at adenhealthcare@gmail.com. We, Aden Healthcare always welcome you. Unhealthy lifestyle habits and the growth of obese pediatric populations are driving the market for pediatric health products and services. The world is experiencing a rapid nutritional and epidemiological change. An increase in the prevalence of obesity, cardiovascular disease, chronic diseases linked to nutrition and cancer. Changes in lifestyle, eating habits, for example, have resulted in increased obesity. According to the report, the global market for pediatric health products and services was estimated at around US$ 88,000 million and US$ 520,000 million respectively in 2017, with a CAGR of around 4.5% and 5.5% from 2018 to 2026 respectively. Therefore there is quite scope of pediatric range PCD pharma franchise in India. As Aden Healthcare is already a reputed name in the pharma market and our medications are the first choice of the consumers. Therefore only our associates not found any difficulty in establishing their best pediatric franchise pharma. We provide the formula that is demanding and considered efficient. The product is affordable and complies with international manufacturing standards of GMP and WHO. Our children’s pediatrics range is absolutely safe, which help us to keep our name in the list of top pediatric pharmaceutical companies. All our products undergo various chemical tests and quality tests before they reach the customers. So here is the list of our peadiatric range medicine. The company trusts its partners for its quality. We deliver our commitments to our employees. We, Aden Healthcare has an excellent market presence and ensures high- quality products with a good profit margin for the pharmaceutical franchise business. We practice ethical pharmaceutical franchising and deal transparently with our employees. Here are the following advantages to join us. Pediatric medicines are made from pure ingredients and extracts derived from reliable sources. The composition of each unit of medicines has been taken carefully from the standards set by GMP to the latest packaging styles. You can rely on our work for an effective, safe and durable source of pediatric medicines. A vast network of hygienic warehousing systems. Each unit is manufactured in excise duty-free zones. An approved list of DCGI, and much more medicines. Pediatrics is one segment that rejoices in a number of drug development divisions. Experienced and qualified pharmaceutical experts in every division who are wise heads of pediatric medicine. Genuine pediatric medicine question prices. You are supported by attractive promotional tools and donations. The investment plans for the pediatric pharmaceutical franchise in India are genuine. Genuine sales target and transparent long- term deals. Great incentive schemes will be given to you.